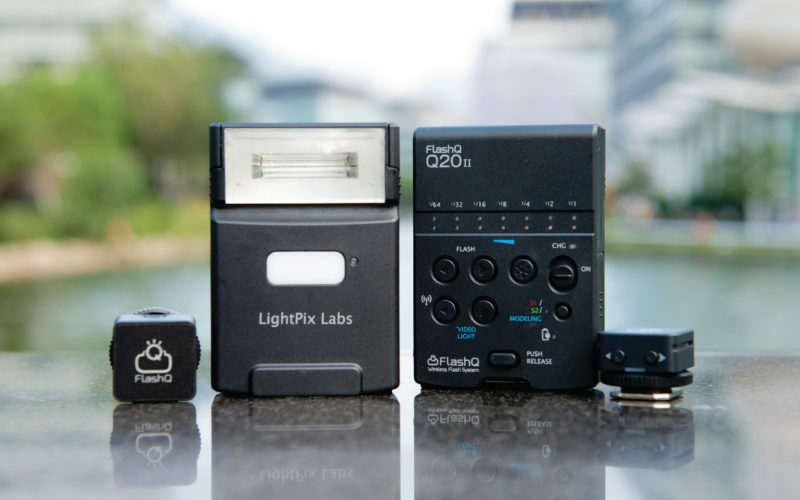 Hong Kong-based manufacturer LightPix Labs has announced an update to their stylish, ultra-compact FlashQ wireless triggers and Q20 flashgun. The new devices are called the FlashQ T2 series and the Q20II, respectively. The new FlashQ T2 radios are the same, minuscule size as the originals, but now they feature built-in lithium-ion batteries, charged via USB port, rather running on CR2032 watch batteries. This fixes one of my biggest gripes about previous edition of FlashQ triggers, which was having to maintain a supply of CR2032s, which are relatively expensive and fiddly to replace. The integrated lithium battery should charge in about 90 minutes. 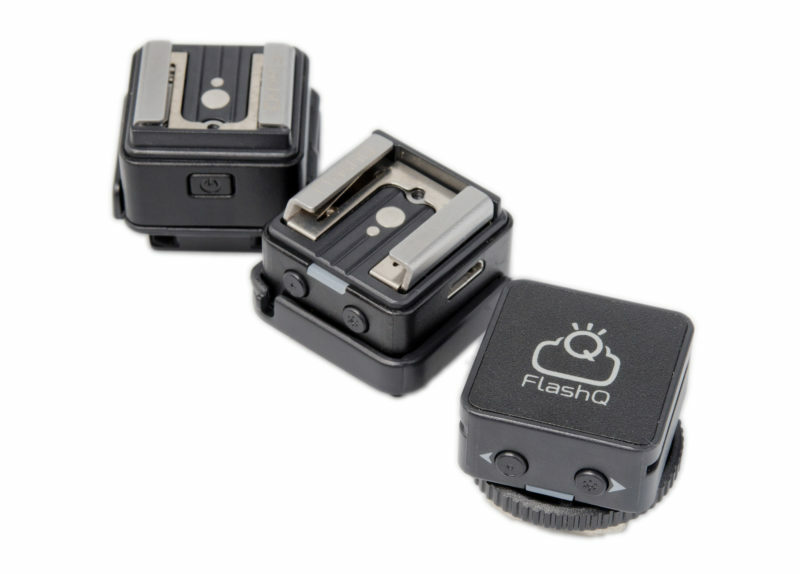 The FlashQ Q20II is a tiny 2-AA flashgun with a tilting flash head, LED video lamp and built-in gel holder. 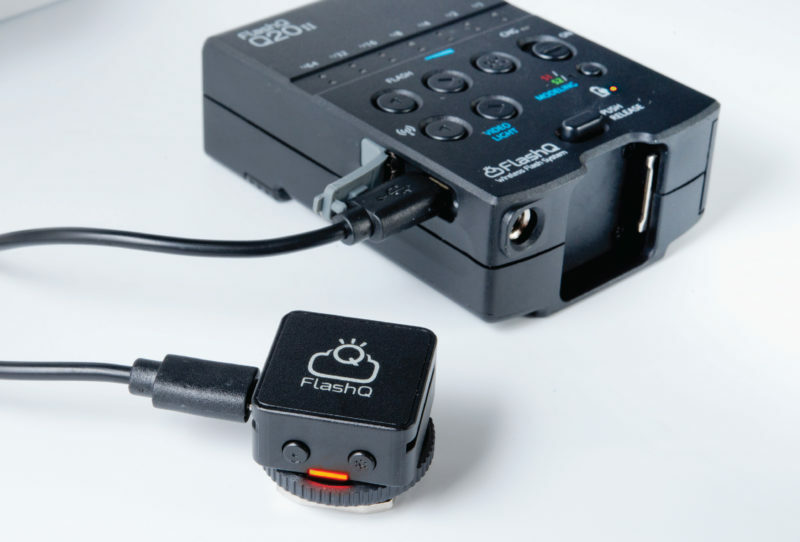 It is modular, with the hotshoe mount actually being a FlashQ transmitter that can be detached and used to control the flash wirelessly, including remote power control. The Mark-II version includes the new T2 transmitter as the triggering module, and also now features USB charging, so you can charge your Ni-MH batteries while they are inside the device. I am a big fan of the original FlashQ triggers and Q20 flash, both of which work well with mirrorless cameras. I look forward to trying out the latest upgrade. For more information, visit the LightPix Labs web site. Pricing is $49 for a FlashQ T2 transmitter-receiver kit, or $69 for the FlashQ Q20II (which includes a T2 transmitter as its hotshoe module). With USB charging, there is less need to carry a separate AA charger or spare batteries, making the FlashQ series even more suitable for photographers and hobbyists who like to travel light.